Welcome to The Wilde Company Home Page. 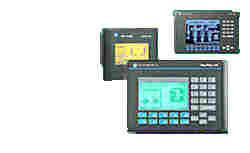 Providing Industrial Control System solutions and services. This site best viewed with a resolution of 800 X 600 or better. This site is supports such browsers as Internet Explorer Version 2 and later as well as Netscape Navigator Version 2 and later. The latest version of Netscape can be obtained from the company's website for free.